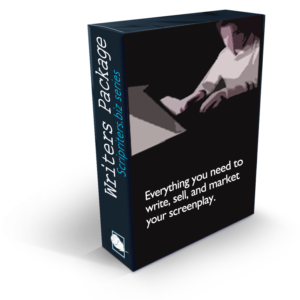 Create successful screenplays in perfect script format. A must for anyone pursuing a screenwriting career! 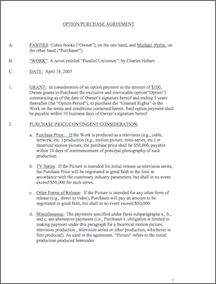 There are standard rules used by all of the Hollywood studios for screenplays. These rules are the clearest, cleanest way to tell a visual story. The Script Chart is a compilation of all these screenwriting golden rules, superimposed on Aristotle’s three act structure. It is also broken down into 10-page sections (what the agents look for in Hollywood) and it is broken down by page number. The areas of importance occur exactly where they should be in the script according to the page numbers at the top; from pages 1 to 120. The front of the chart is the Story Guide and on the back are full color-coded descriptions that match the outline on the front. The reason this chart is so widely used in the industry is that every possible formula and story outline created for the art of screenwriting is on it and they are all superimposed on the three-act structure. It is a real good idea to make sure your story follows along with at least one of them. Joseph Campbell’s “Hero’s Journey” model teaches the writer the importance of myth in a story and describes the many archetypes the hero encounters on his journey. The 3 Act Structure dates back to Aristotle. Shakespeare developed it further in his plays. Hollywood uses it in practically every film today. It is the backbone of Story. 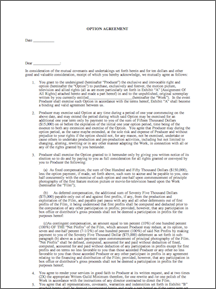 The HOLLYWOOD SCRIPT FORMAT CHART® shows you how to create successful stories in perfect script format. This chart describes the ancient power of myth in detail as it applies to all stories in the hero’s journey model. It includes the 10 Commandments of Screenwriting, plot points, hooks, and emotional curves. 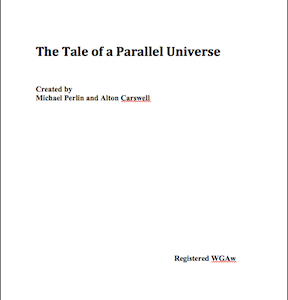 It also includes the golden paradigm-three act structure, formatting and submission tips, and the page number breakdown.